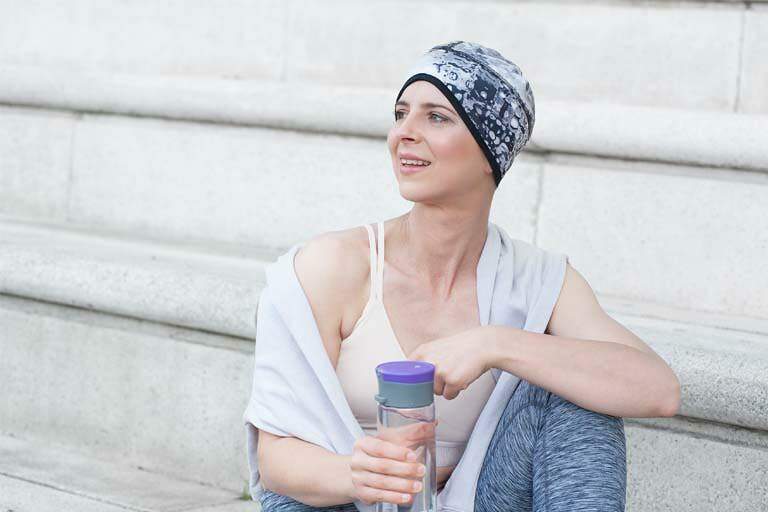 Sport chemo hat – Infinity Intense Grey is a perfect super soft choice of active headwear for those with sensitive scalp due to hair loss. At Masumi Headwear, we believe that you should live your passion every day and don’t let anything get in your way and that is why we have created the Masumi Active Infinity Collection to inspire and motivate you to maintain your healthy and active life with confidence and style. Masumi Active – Infinity colour Intense Grey sport hat is perfect for your outdoor walk or jogging or perhaps your workout at the gym and will complement your yoga outfit beautifully. Made from super light and soft moisture absorbing materials it is expertly designed for those with hair loss, who are always on the move, it will help you stay cool, clear-headed, and stylishly chic . Reflective detail at the back was created for your safety and hidden pocket at the back will let you carry important items such as your key or small change when you don’t have pockets in your running gear.